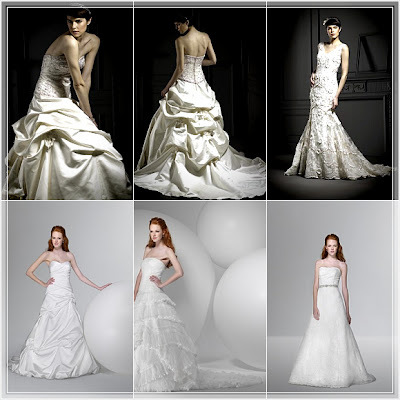 Alita Graham for Kleinfeld is one of Kleifneld's most successful exclusive designer collections. The gowns are made of 100% silk. They feature unique details such as origional embroidery, pleated silk tulle, Swarovski crystals, and ribbon embroidered lace worthy of the Kleinfeld label. The collection caters to a broad range of brides from classic to modern and embraces all attitudes from romantic to dramatic.